This needs to be added to Gutenberg as well. @jwold This needs some Gutenberg design insights. 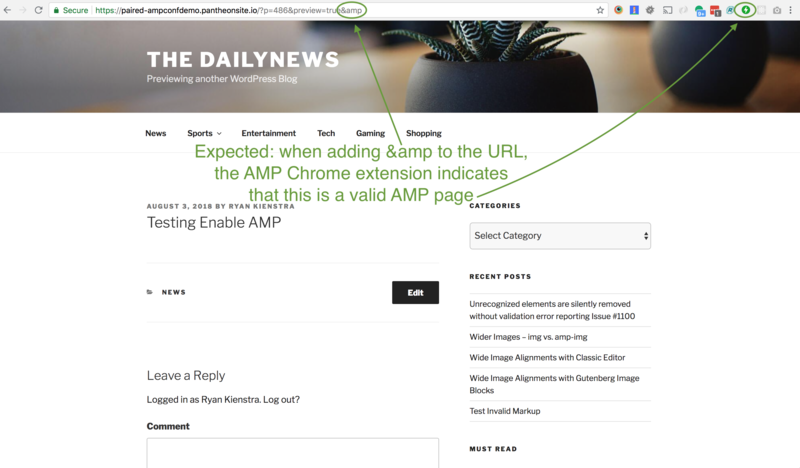 The AMP-specific blocks should not be made available on the Inserter when AMP is disabled for a given post, even in native mode. 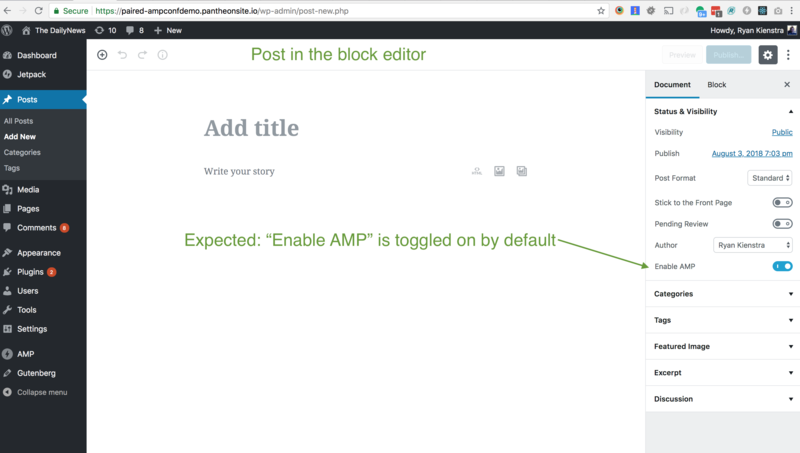 What happens to that block that's already on the page? Should we display a notice around it that it's incompatible, should we gray it out? @jwold that mock looks good to me. 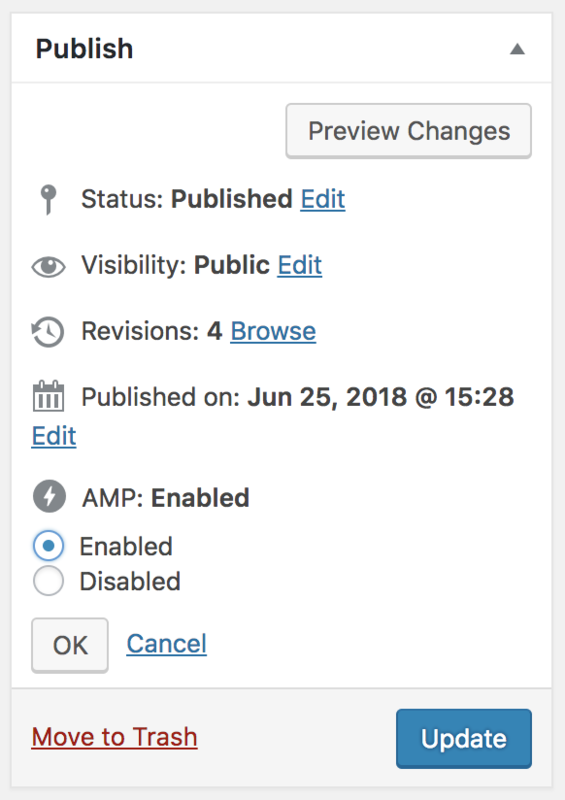 I'm assuming Gutenberg has is extensible to allow new toggles to be added in that location. 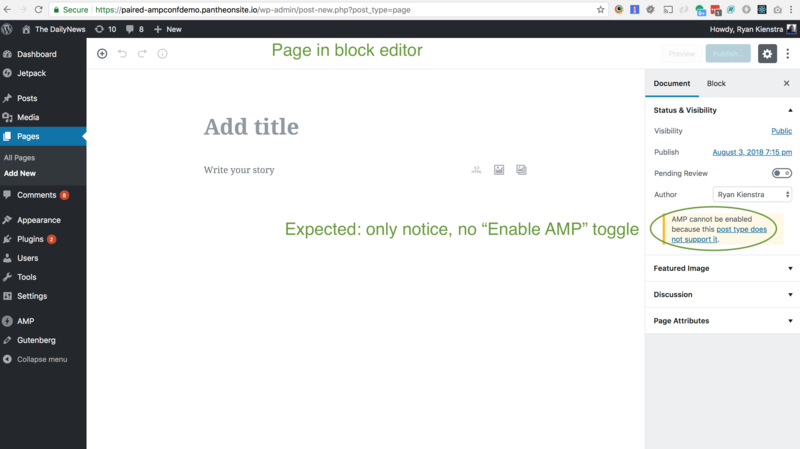 "This block requires enabling AMP in the document settings"
That screenshot is just the default view as presented in Gutenberg for a block that is no longer recognized. I'm not sure how easy it is to customize it for specific blocks. That would be nice for the AMP case here. Add a title to the new post, then click "Save Draft" and "Preview"
Add &amp to the URL, and go to that address. 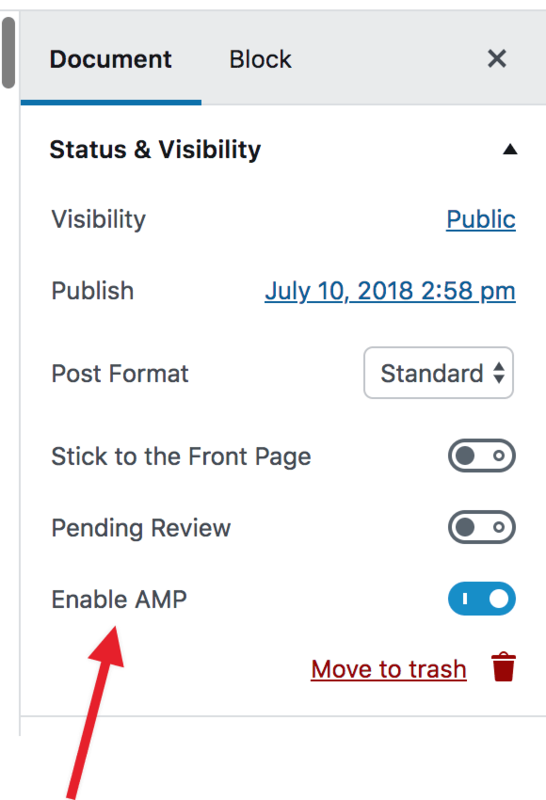 Go back to the editor, uncheck the "Enable AMP" toggle, and click "Save Draft"
12. 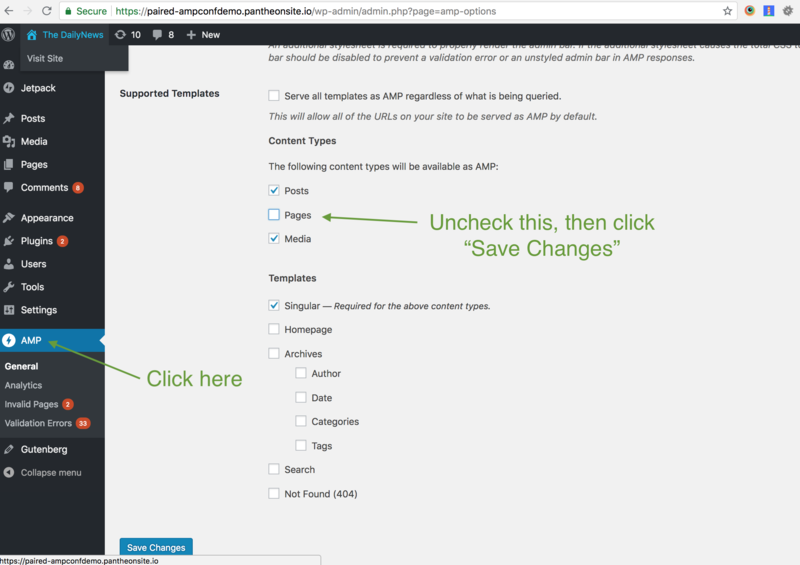 Check the "Pages" box again from step 9, and click "Save Changes"
Could you please retest this to ensure there wasn't a regression, using the test steps above?